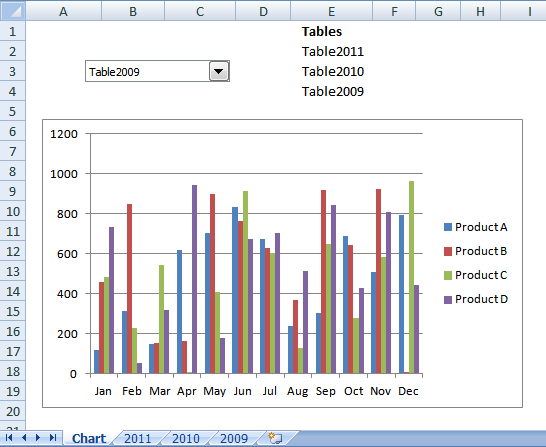 The articles listed in this category is about drop-down lists [Data Validation]. If you are looking for combo boxes then check out this category. 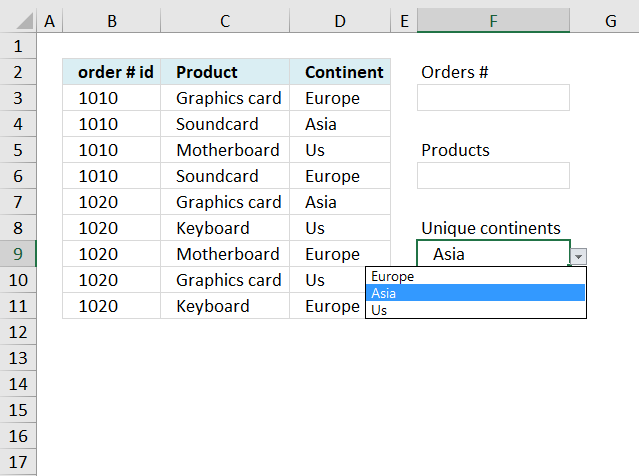 A drop-down list in Excel lets you specify valid values a user can enter in a cell, it makes it easier for the user to type a value since the list shows the valid values and clicking on them automatically enters the value in the cell. Don't forget to check out the articles in this category, there are links in the sidebar or if you are on mobile then click on the hamburger icon. There are also links at the very bottom of this page. Is there a short-cut to create a drop-down list? Can I use a user defined function in a drop-down list? Can I create a drop-down list programmatically using VBA? 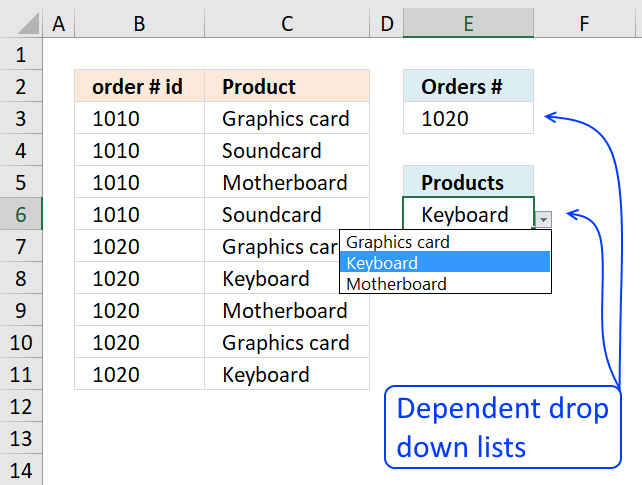 Select the cell where you want to create the drop-down list. Go to tab "Data" on the ribbon. Select "List" in the drop-down menu. 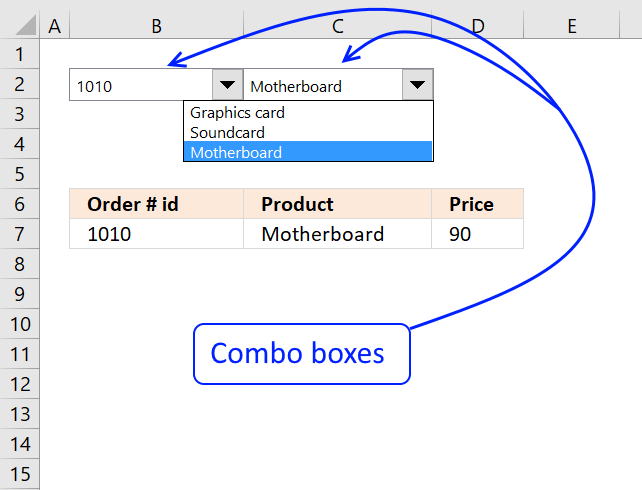 Type the values you want to show up in the drop-down list, separate value with a comma. You can also use a cell reference. Yes, there is. 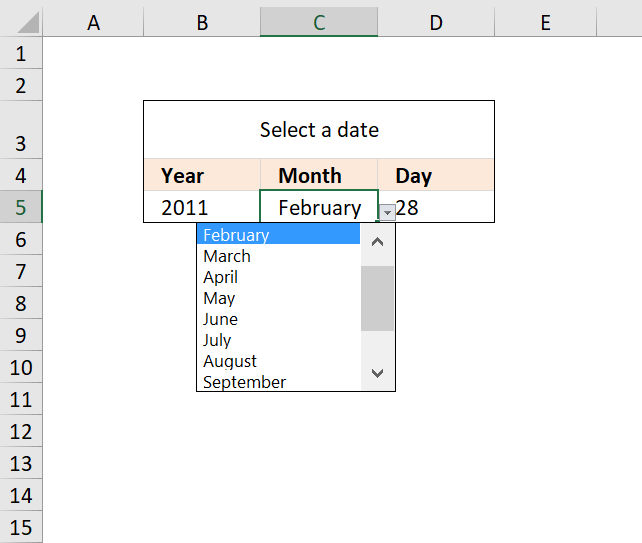 Make sure you have selected the cell you want to create the drop-down list in. 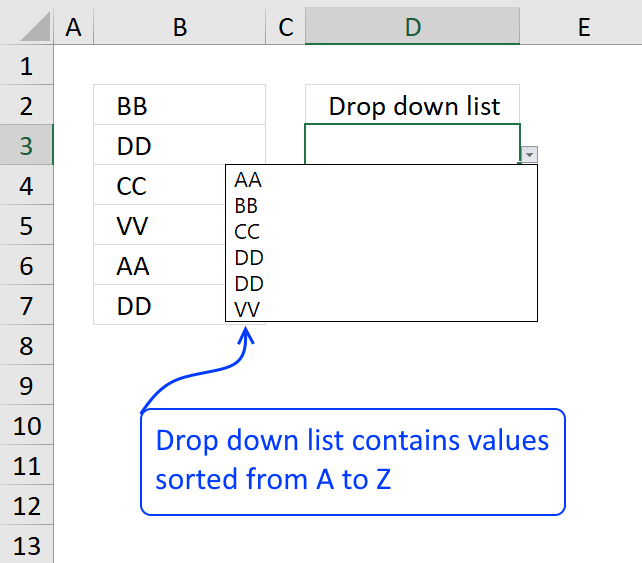 Press Alt then A then V and lastly V.
The following steps shows you how to edit the values in a drop-down list. 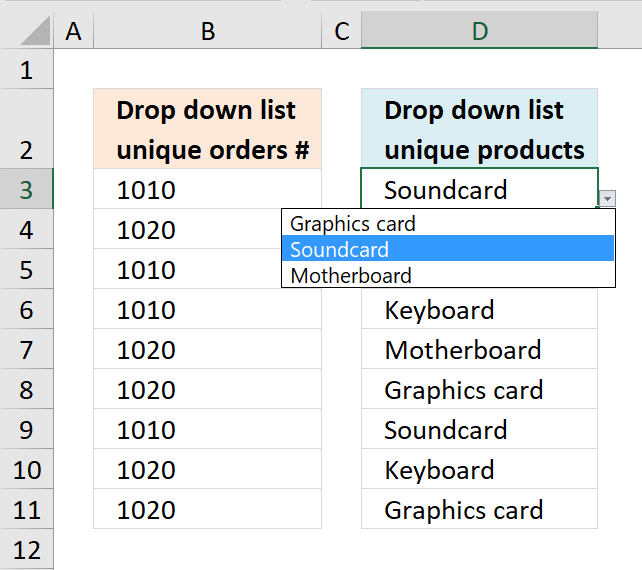 Select the cell containing the drop-down list you want to edit. The source field shows you the values the drop-down lists shows when you click on it. Change these values to edit the drop-down list. Click OK button to apply changes. 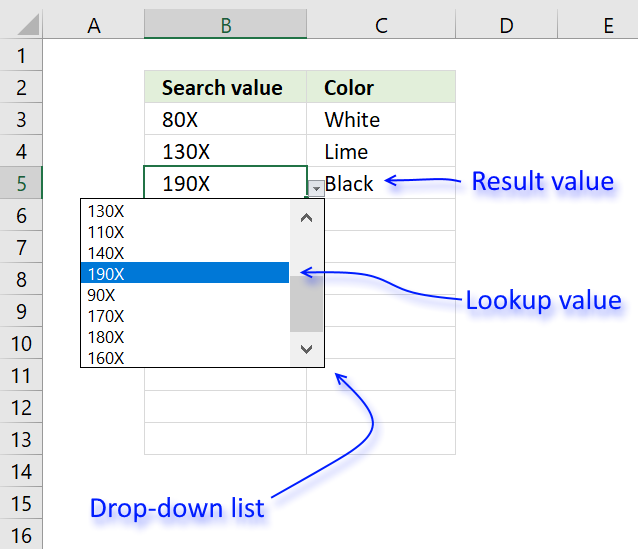 The following steps shows you how to add values to an existing drop-down list in Excel. The source field contains the values shown to the user. Simply type mode values and use a comma as a delimiting character. 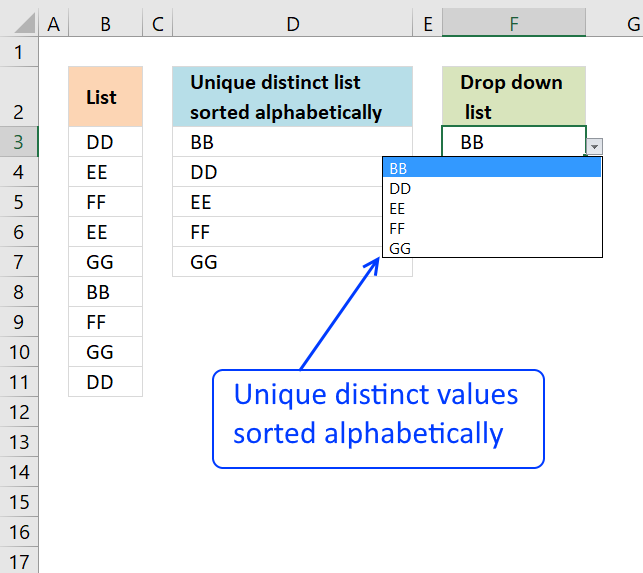 Read the following article if you want to automatically add new values to a drop-down list. 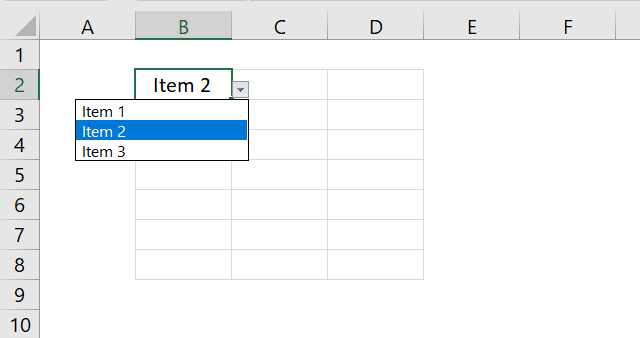 Simply use a cell reference to the cell containing the drop-down list, that way you can use the selected value in a formula or macro. 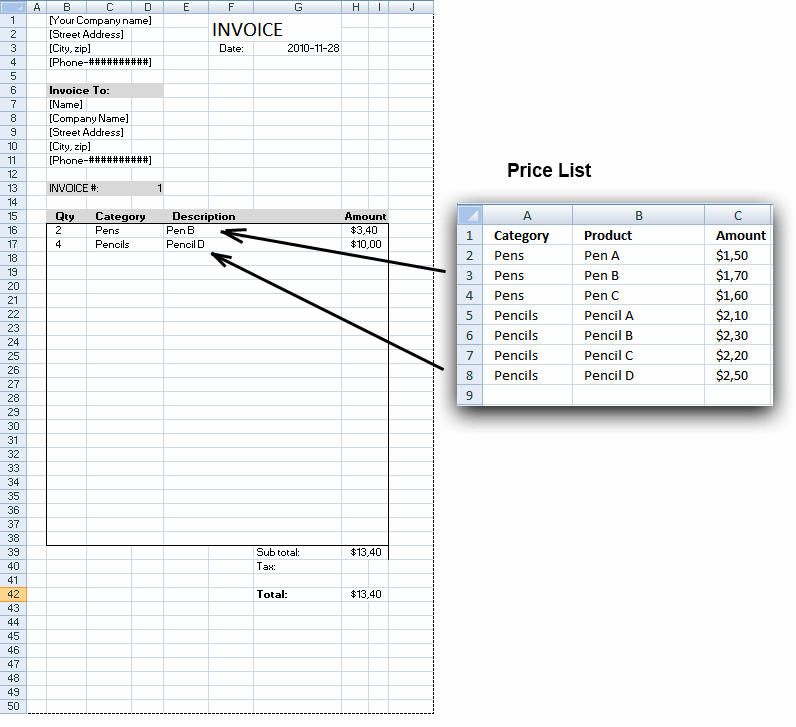 The image above shows a drop-down list in cell B2. If this is not working then you probably have a combo box on your worksheet. Tip! Use a named reference if you often use the value in formulas etc. 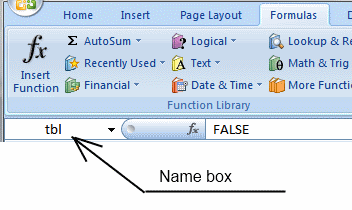 Simply select the cell containing the drop-down list and then click in the name box and enter the name. Then use that name in your formula, it will even show up in the formula bar. Can I copy the drop-down list to an entire column? You can, however, I don't recommend it. There are more than a million rows in a worksheet, it may slow down your workbook and create a larger workbook file than necessary. The image above shows you how to copy and paste a drop-down list. 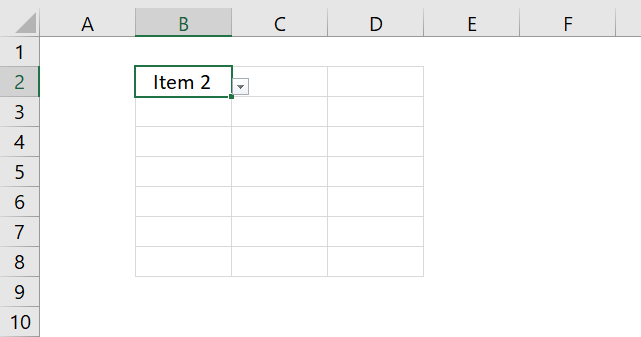 Select the cell containing the drop-down list you want to copy. Press CTRL + c which is the short cut keys to copy a cell. Select the cell range you want to copy the drop-down list to. 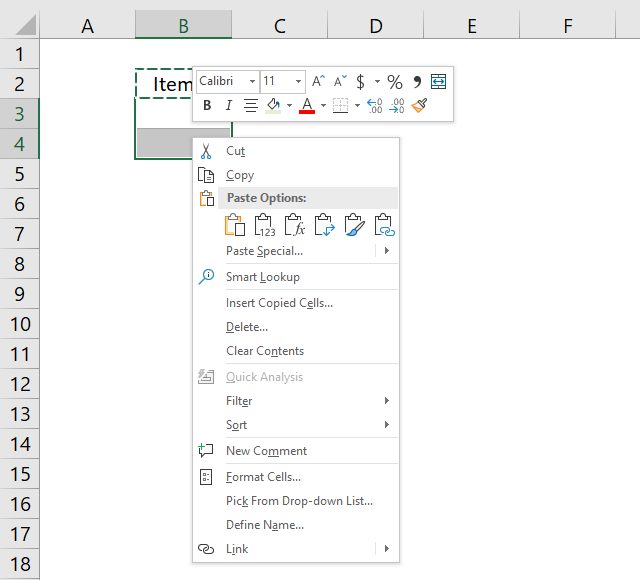 Right-click on the selected cell range and click on Paste or press CTRL + v to paste the copied cell to the selected cell range. Click and hold on the black dot located at the bottom right corner of the cell containing the drop-down list you want to copy. Drag downwards with mouse as far as needed. 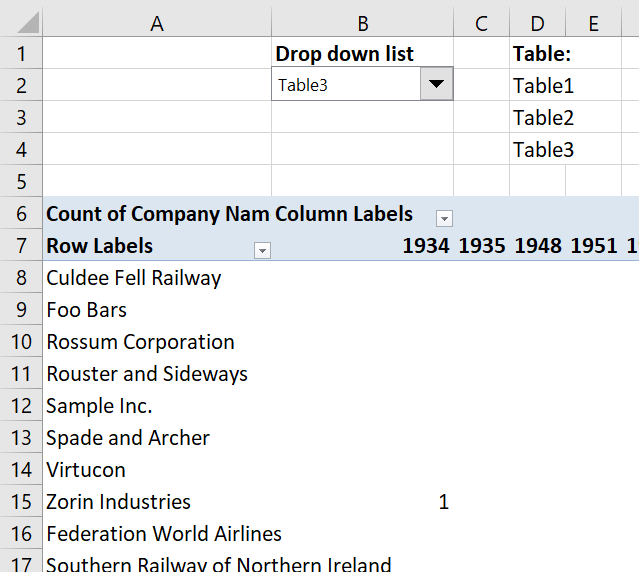 How do I reference an Excel defined Table in a drop-down list? 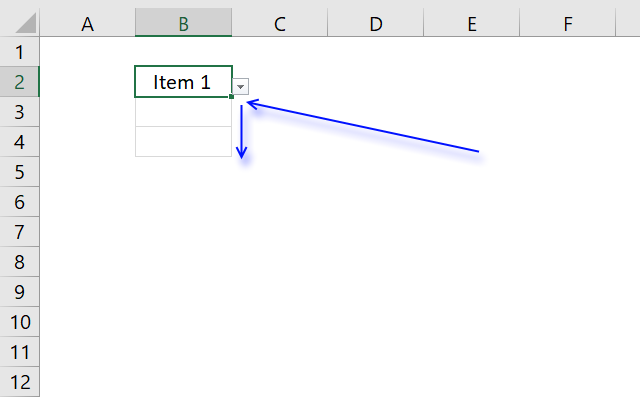 Click the cell containing the drop-down list. 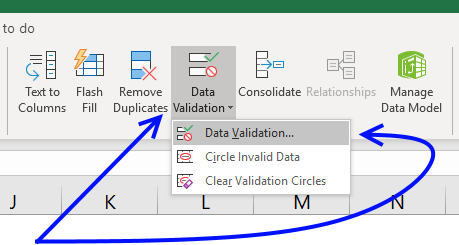 Click "Data Validation" button. A dialog box appears. 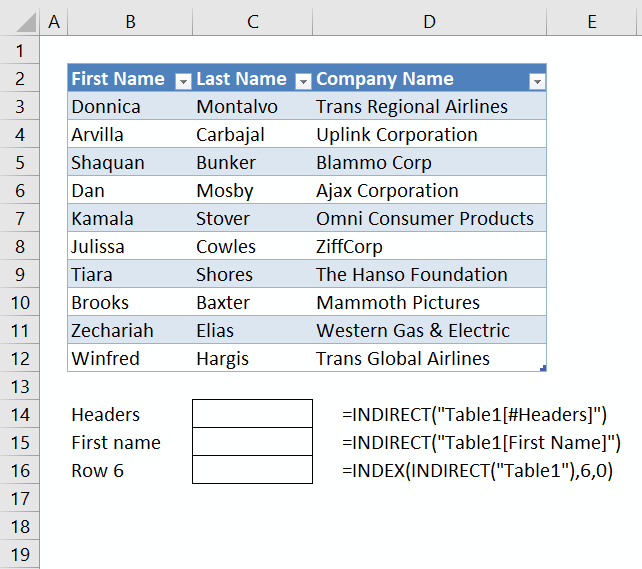 Use the INDIRECT function in order to use a reference to an Excel defined Table, see image above. 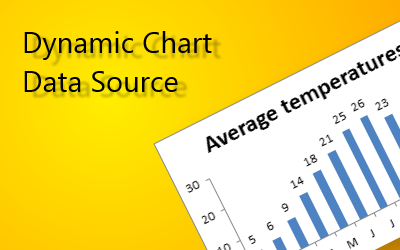 Simply change the width and height of the cells containing the drop-down lists. If this doesn't work for you then you need a combo box. 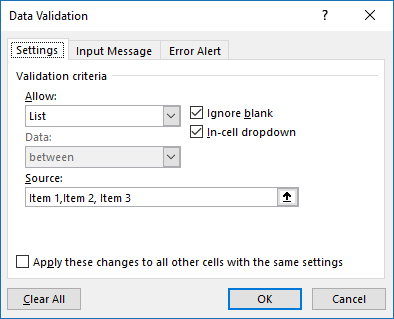 Select the cell containing the drop-down list. Click the font drop-down selector to change the font. Click the font size drop-down selector to change the size. As you have probably already noticed, it won't change the font or size of the list, you need a combo box to accomplish that. 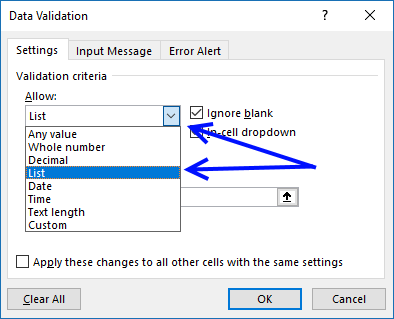 To copy the selected value simply select the cell. Press short cut keys CTRL + c to copy the cell. Right-click the destination cell and then click on paste value. 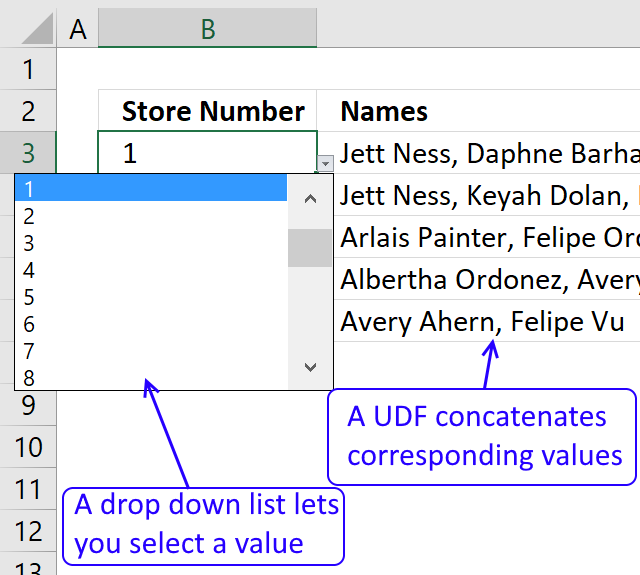 This will only paste the selected value of the drop-down list and not the drop-down list itself. The source field contains the values shown to the user. Select and copy these values.